The Holga version of a previous post of the road side vintage cars in rural Wyoming. Nice textures. Very fitting with the car. Love your camera position. 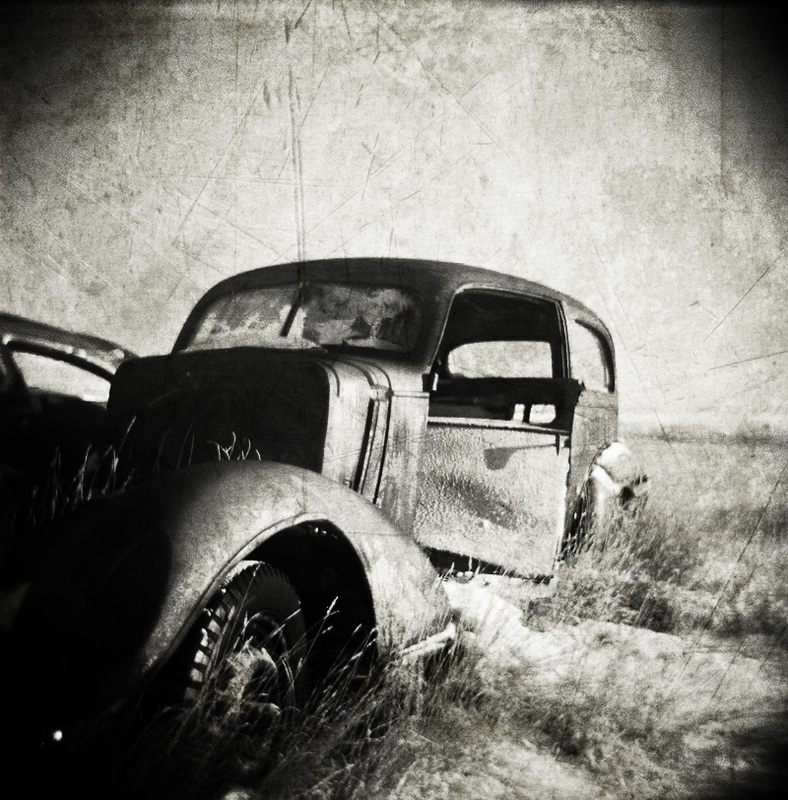 Great rustic feel–love this Holga version. This one really has a classic coolness to it! I like the treatment – it suits the image perfectly. The vintage treatment fits very well to the old car. Fantastic image! I really love the perspective and the textures! What a great find…and such wonderfully timeless processing. I love the processing on this, Will. Amazing shot, love it ! Modern cars are efficient and perform very well but you just can't beat vintage cars for style. A perfect subject here for a Holga. Nicely processed; catches my attention. This is a great find and you have processed it beautifully. I love this one! It is timeless, wonderful processing – and happy 2011. Nice shot. The processing really gives the photo that classic feel to it. Very nice. The processing really compliments this old find. this would have been perfect without that treatment in my opinion. great find and composition.